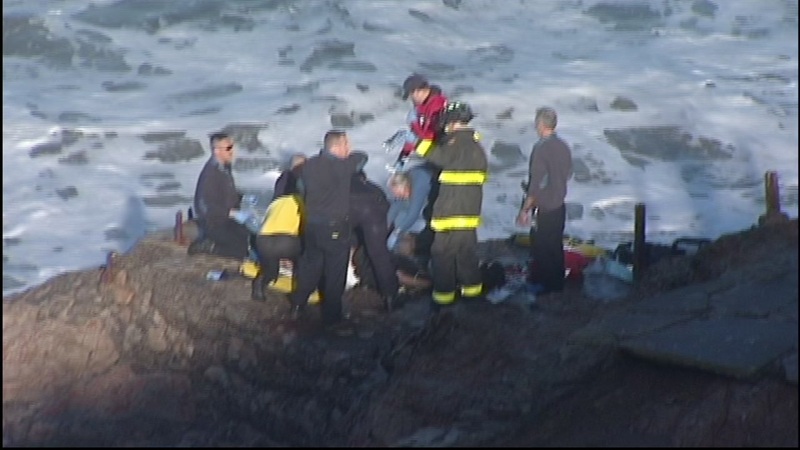 SAN FRANCISCO -- A 55-year-old swimmer is in critical condition after San Francisco firefighters found him face down in the waters of Ocean Beach near the Sutro Baths Saturday morning. The incident was reported at 9:22 a.m., and firefighters arrived on scene by 9:27 a.m., according to dispatchers. A swimmer from Engine No. 34 reached the victim around 9:35 a.m., a dispatcher said. The victim had water in his lungs, so firefighters administered CPR as he was transported to St. Mary's Medical Center with an intermittent pulse. As of 12:51 a.m., a spokesman for the San Francisco Fire Department announced via Twitter that the victim had survived the near-drowning but he remained in critical condition.